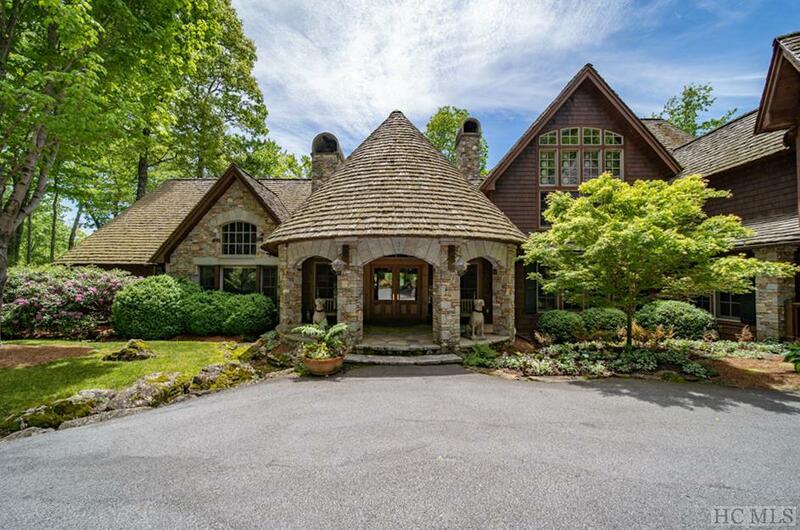 Offered for the first time, this elegant sanctuary designed by Tim Greene sits high in the Blue Ridge Mountains inside the premier golf club of Wade Hampton. A serene setting along with the highest quality materials, fine craftsmanship and thoughtful architectural details make it an exceptional find. Dubbed Sassafras-Chambertin, the current owners named the home after a Burgundy wine produced by the world-renowned Domaine Armand Rousseau, a boutique winery in France. Exuding a warm and inviting ambiance, the main house boasts generous living space, gorgeous mountain views bordering and overlooking National Forest, seven stacked stone fireplaces and rich custom woodwork constructed of heart pine reclaimed from the Hershey Chocolate Factory in Pennsylvania. The great room and bedrooms in the main house feature impressive vaulted ceilings with substantial timbers. 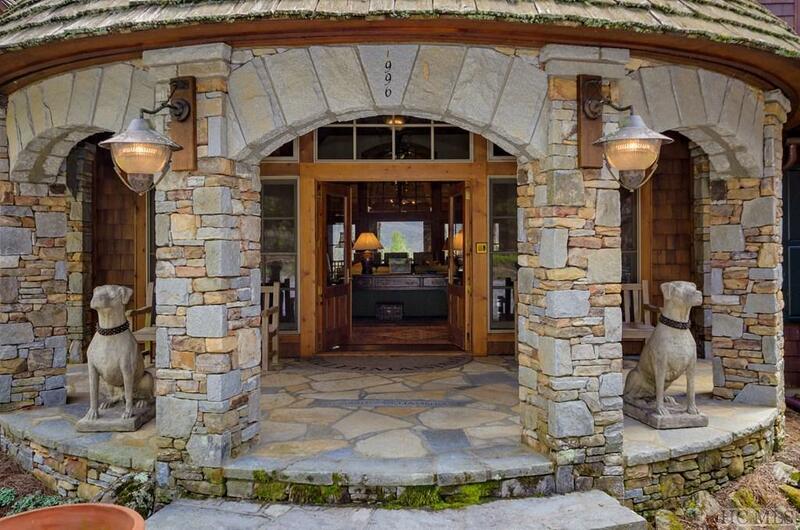 Opening out to a private porch with soothing mountain vistas, the expansive master suite includes two fireplaces, a spa-like master bath, and an adjacent private sitting room. 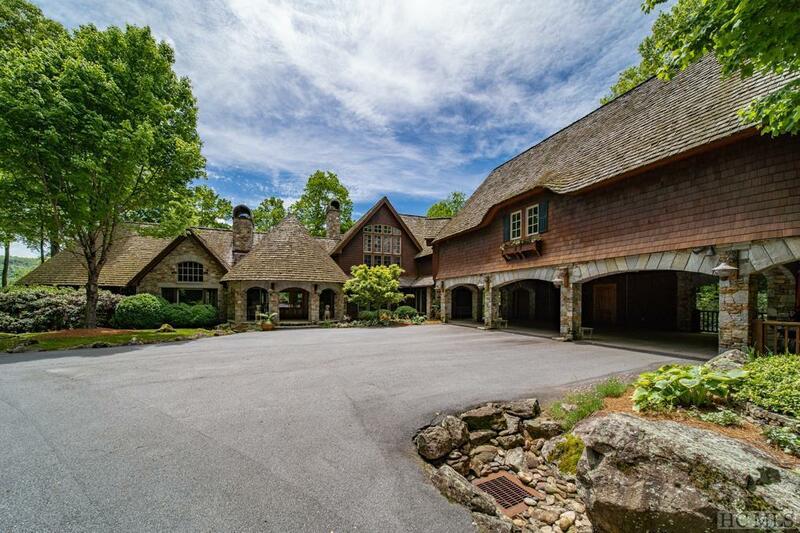 This mountain estate is ideal for entertaining and lodging generations of friends and family, readily accommodating guests in stylish comfort. The upper level of the main house has two guest suites, while private guest quarters with a separate entrance include a kitchenette and four guest suites, comfortably accommodating two foursomes for a golf weekend. Perfect for both intimate gatherings and large parties, the main house has a well-equipped gourmet kitchen, as well as formal and informal dining areas, a wine room, a full wet bar, an outdoor kitchen with built-in barbeque, and open and covered decks with ample sitting areas and a fireplace. 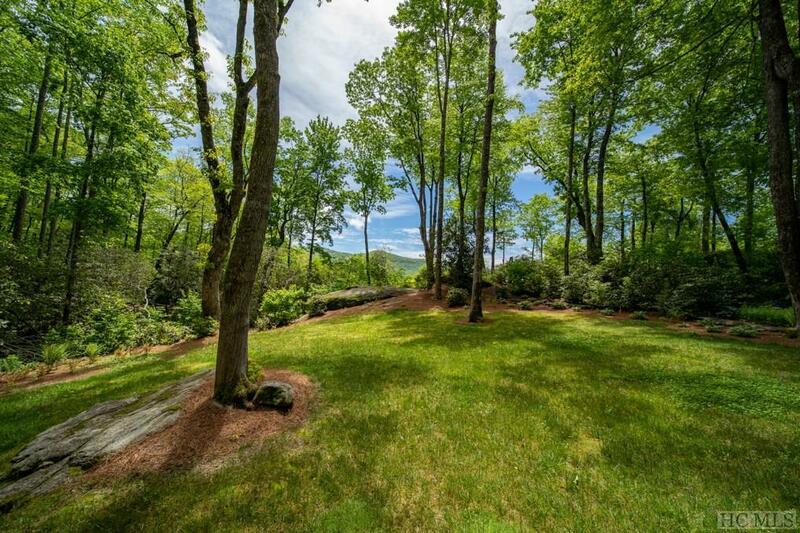 The host of amenities continues with a fitness studio, an elaborate wood shop, a screened-in, covered putting green, a separate building with four indoor/outdoor dog runs for use as a kennel or storage, and an adorable tree fort. A new cedar shake roof was installed in February 2019.